A movement with the sound of excitement and riches. The Art Deco or Deco movement began after WWI, around 1920. The visual art, and architecture from the Deco movement, is something that gives you a rush. The first thing that comes to mind is the classic book of The Great Gatsby, and all his extraordinary parties that he threw. The excitement at that time was something else, night after night just having fun. 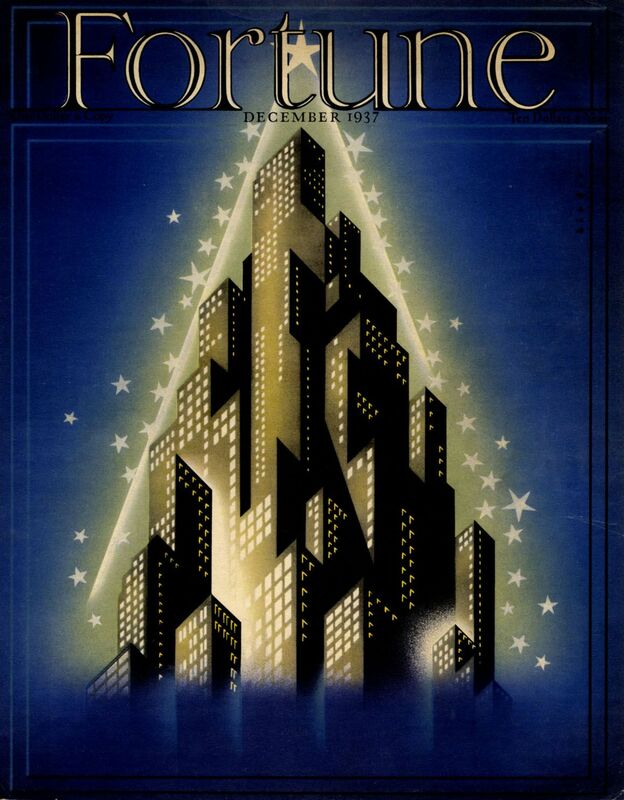 Art Deco was at it’s peak in that time, around 1925, but what I’ll be focusing on is the Fortune cover by Joseph Binder from December of 1937. Art Deco was one of the most popular movements in architecture and design, and it’s because it makes you excited. The cover is based on a Christmas tree, and you can see that it’s full of high-rise buildings in a beautiful golden glow. The buildings are highlighted in black, and blend in together perfectly, allowing the cover to have a good balance of negative and positive space. You have to love the colour palette of this cover, a rich royal blue as the background, while having a bright glowing golden city as the centre-piece. It achieves a perfect balance. Now, just by looking at it, you can hear those classic Christmas carols. You can hear the sound of stars sparkling, while bells ring in the background. All the sounds of Christmas time come rushing in when you look at this, saxophones in the street, Christmas carolers, huge crowds of people in malls, it all comes rushing in, bringing your feeling of Christmas back into your life for the season. 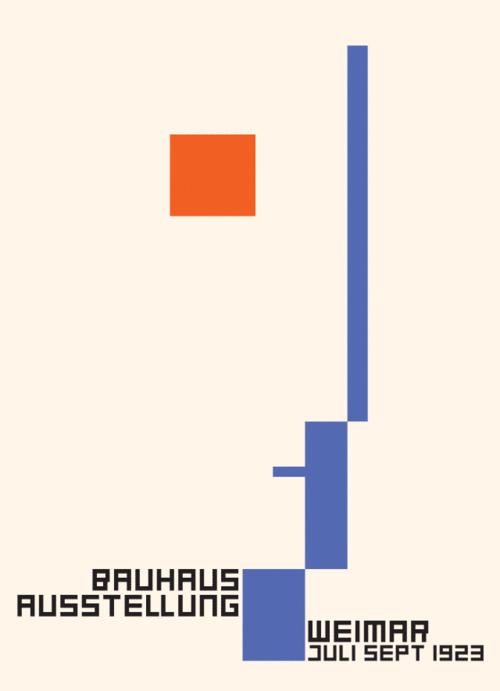 Fritz Schleifer, Bauhaus Exhibition Poster, 1923. My inspiration for this poster came from several Bauhaus posters. 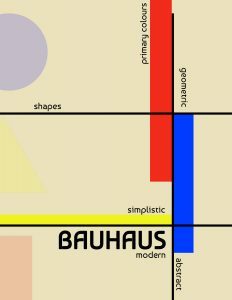 I wanted to incorporate the elements you would naturally see on a Bauhaus poster into my design.